Shopping centers look more and more. Fortunately at Nantes, shopping is the opportunity to enjoy good times with family and friends with its shops, catering, entertainment for children, services and wellness addresses. Open six days a week from 10 hours to 21 hours, the Beaulieu shopping center is located on General de Gaulle boulevard. We went there by car, with in Busway line 4, stop Beaulieu, in Chronobus line C5 Conservatory stop or Ile de Nantes. The bus takes you there by line 26. With 120 shops, you can choose mode with Camaieu, IKKS and Naf Naf, supply with Carrefour, Leonidas and Coffea in health and beauty with Grand Optical, Yves Rocher and Sephora, culture and leisure with Nature & Discoveries, Micromania and La Grande Recre. Not forgetting the children, the high-tech and home and decoration. The new center offers three health areas, but also large of children's fashion, fashion women's and men's fashion. Not to mention IKEA and the Apple Store. Younger find the ride. The best will heal their beauty Megasun with its service tanning and teeth whitening. For children, find the Baby Shoes stores and Aubert, not to mention the possibilities of ticketing and fitness mode with Basic Fit. It is the largest western regional shopping center in France, with 151 stores and E. Leclerc hypermarket. Movie enthusiasts will stop at the UGC or Pathé time a canvas. Sometimes open until 22 pm on Paridis mall offers 68 fashion boutiques, shopping, ready to wear and restoration. The center allows for home runs in E. Leclerc and refueling shoes, leather goods, jewelry, gifts for all ages and tastes. Peckish, simply make a turn at Quick, Subway or Paul. Smaller, this center offers thirty shops and restaurants. This is an opportunity to discover the brand Body Minute, Subway, Lio or Coiff & Co and enjoy the promotions of the Carrefour hypermarket. Marionnaud, Camaieu and Tel & Com are other fine stores this center. 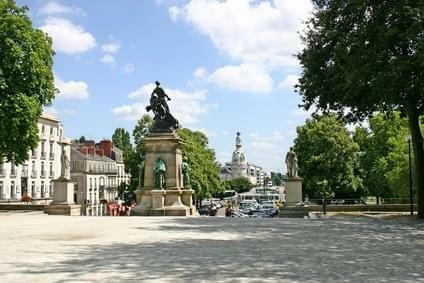 This mall is recommended for those who want to stay in the heart of Nantes. The Pommeraye existed since 1840. It has been listed building in late 1976 before being restored and extended in 2014. It has twelve signs, 3,500 m2 of shops, the concept store The Chicks.